Gillette 7 O'Clock SharpEdge brand double edge razor blades. 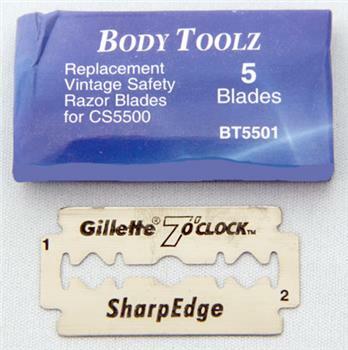 These double edge blades are made from stainless steel and fit the Body Toolz Vintage Shaver (CS5500). Smooth shaving experience every time.